My Tomato Guy grows the best cucumbers! I get them every Saturday at the Farmer's Market. They are 3.00 for a little basket. So worth the money and I save them for phase 2... so good with my Sweet Chili Sauce, or even with simple salt and freshly cracked black pepper. Today I was craving sweet pickles. I remember my great uncle had made some bread and butter pickles many, many years ago and he brought some to my grandma on one of his rare visits. I never got the recipe but I sure do remember those pickles! Today, I tried out a new (to me) recipe and I cannot wait for them to "pickle"! 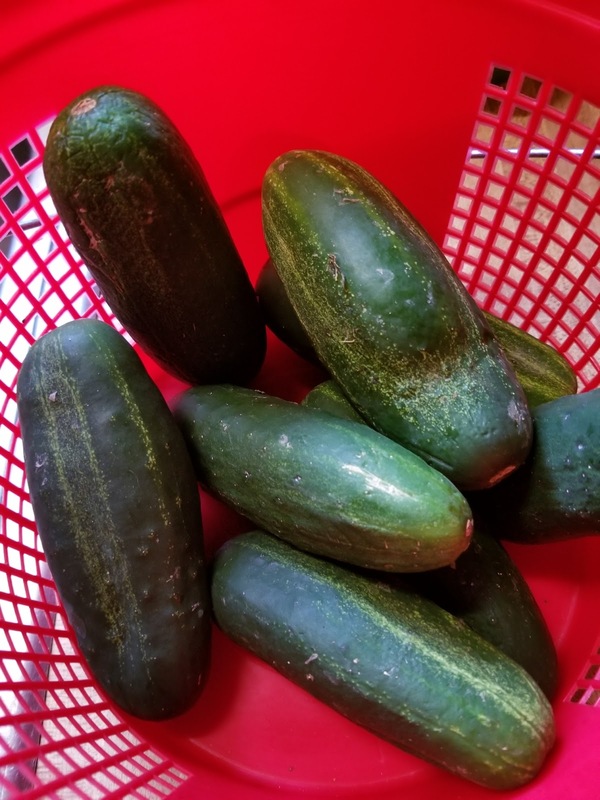 I only made one quart, so I could have cucumbers for phase 2. You can double or triple this recipe as you need. Cucumbers- sliced thick. You want enough to pack into a quart jar. I used the jar to measure. Cut the cucumbers and place in jar to make sure you have enough. Pour cucumbers out into a large bowl and toss with the salt. Sit in the fridge for 1.5 hours. Rinse the salt off the cucumber slices and drain. Make sure to remove all the salt. Layer the cucumbers with the onion in the jar. In a sauce pan, put the remaining ingredients and heat over medium heat until the xylitol is dissolved. Pout the hot liquid over the cucumbers and put a lid on the jar. Let the jar sit on the counter for 1 hour, then move to the fridge. Store for up to 2 weeks. All phase, condiment, so these are unlimited. oooo... I am going to try this with some monkfruit sweetner. One question (and it will be dumb) do you need to use the little cucumbers for pickles or can you use long english cucumbers? I get a better deal on the long english ones and would make a TON of these pickles. Thanks! Looks like I am making pickles this weekend. Any non iodine salt will work. My Mom made the best sweet pickles every. I miss them almost as much as I miss her. I cant wait to try these soon. Thank you for posting. You are the best! 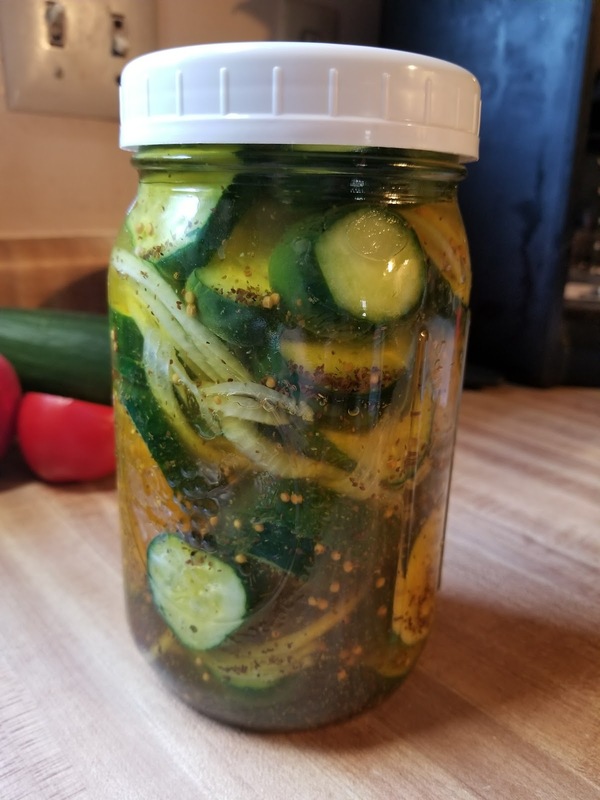 Pickling Cucs this weekend! Can't wait to try your recipe!! Thank you for sharing!